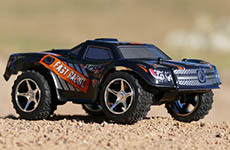 This super quick rc truck is almost too fast, thankfully you can dial down the speed from the controller! Smooth proportional steering will make driving this truck a blast. A very basic and very fun mini RC car. 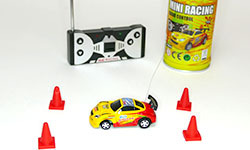 Everything you need to drive (minus batteries) is included in a tiny soda can, car, 4 traffic cones, and a remote! Outstanding performance and packed with features normally found on expensive rc cars, the Torment rc truck is a great buy for anyone who loves RC cars. Technology meets a classic slot car style racing game and takes it to a whole new level with battling, racing, and upgrading your car either against the computer or with friends! Anki Drive is a high tech game packed with tons of fun for the whole family. Half tank half car the Hypertrax is a unique and super fun toy. 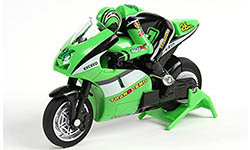 One of the best toys Air Hogs came out with. Built to last and out perform other rc cars! Tons of detail, working head/tail lights, and full function radio controlled. This mini motorcycle has some amazing features, like a balancing gyro built into it’s wheel to keep it upright.